The New Year's Day 2017 marked a turning in the life of the author, his meeting with a woman who changed her life, revealing to him the secrecy of the success to him. In this work, you will find what it hides behind the failures, and gives the keys to draw them with their advantages, to become a better version of yourself. 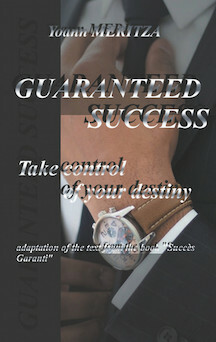 The purpose of this book is to change all your life, to have a clearer vision on your future, you will understand that nothing is never lost and that you can take back the control of your destiny and obtain all that you want, for that, you will have to change your manner of thinking and of conceiving the events. the author opens the doors of your subconscious to you and gives you a description of the law of attraction .